Jaime Enrique Lepe Orellana was born on 9 December 1947 in Santiago Chile. He was a member of the “Munchen” Brigade of the National Intelligence Directorate (DINA, in Spanish) in Santiago, Chile in 1976 and during the dictatorship of Pinochet. Within the process of the systematic repression and the elimination of opposition members against the military regime of the Chilean dictatorship, in 14 July 1976, Carmelo Soria Espinoza, a Spanish national and member of the diplomatic personnel of the United Nations, was kidnapped by officers of the DINA while he was travelling to his house in Santiago de Chile. Two members of the DINA, including Lepe Orellana, dressed in uniform, feigning that Soria had committed a traffic infraction, stopped him and took him to a house that then served as a clandestine examinations and torture centre. At 6pm in the evening, both DINA members came to the house where he was tortured for several hours, suffering factures in his ribs, with the purpose of obtaining information regarding his relation to the Chilean Communist Party and his reasons for being in Chile. Furthermore, in order to kill him and make his death look like a traffic accident, the DINA officers injected or made Soria drink the content of half a bottle of ‘’pisco’’, a liquor. Soria was then killed by manual choking performed by another member of the Munchen Brigade. 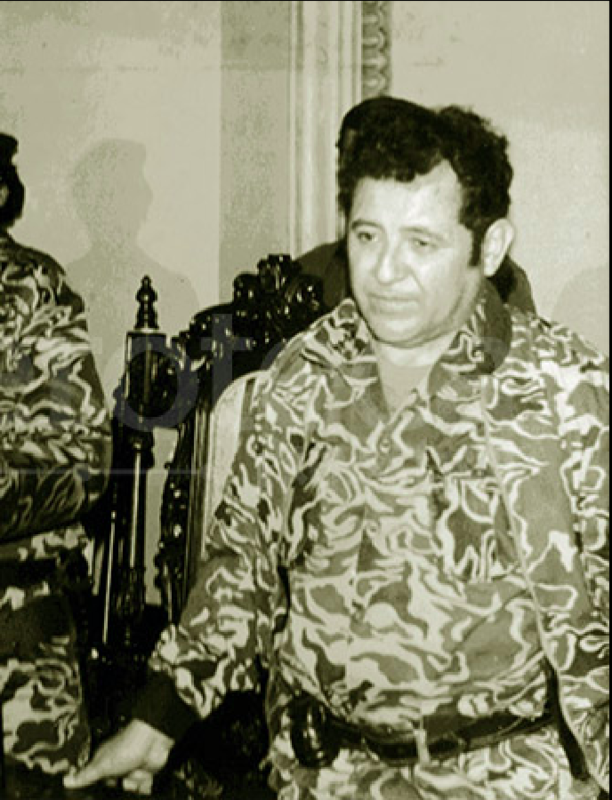 To cover the death, on 15 July 1976, the DINA officers transported Soria’s vehicle to a canal and dumped the car with the body inside, leaving half a bottle of ‘’pisco’’ in the car. The Supreme National Court of Chile dismissed the case of Jaime Enrique Lepe Orellana on 23 August 1996. The investigation was closed owing to amnesty laws then in place in Chile that made impossible the effective prosecution of the crime. Therefore, in 29 October 2012, the National Court of Spain, invoking the principle of universal jurisdiction, issued a warrant of arrest against Lepe Orellana for his extradition for alleged genocide, murder and the illegal detention of Soria. The Spanish Court issued this warrant, claiming that the Chilean authorities did not properly investigate the case. In June 2013, the Chilean authorities recommended not to proceed with the extradition of Lepe Orellana due to the fact that investigations were already being carried out into the case by the national courts of Chile. The petition of the Judicial Prosecution in Chile for non-extradition took into consideration the fact that there is an ongoing investigation in Chile by the Minister of the Supreme Court who is investigating the participation of the crime of the ‘’Munchen”’ Brigade. Therefore, invoking the principle of territoriality on 26 July 2013, the Supreme Court of Chile rejected the extradition of Lepe Orellana and others to Spain on the grounds that the same case is already being investigated in Chile. For the world, Augusto Pinochet, who held Chile in his grip during 17 years, embodied the ruthless tyrants of every continent and age. As counterpoint, (11 Sept. 1973 – 10 March 1990), an exemplary human rights defense movement paralleled the systematic practice of state terrorism during Chile’s military dictatorship. This dual legacy has been ever-present since human rights shifted primarily to the judicial front in the post-dictatorship period. When military forces seized power on 11 September 1973, they closed down the National Congress and created an all-powerful executive branch vested with law-making authority. Only the judiciary was not directly intervened, a privilege attributed to the military rulers’ interest in maintaining a façade of legality. From the initial moments of the dictatorship, attorneys in Chile mobilized to demand respect for fundamental rights, despite a judicial structure that legitimized the military regime’s trampling of those rights. The first habeas corpus writs for arbitrary arrests were filed within days after the coup and in October the Santiago Archdiocese created the interfaith Pro Paz Committee. Subsequently, attorneys of the Vicariate of Solidarity, Christian Social Assistant Foundation (FASIC) and Committee for Defense of the People (Codepu), continued to denounce human rights violations, file complaints and habeas corpus writs (recursos de amparo), despite repeated refusal of the courts to accept these pleas. Elements of proof gathered immediately after the occurrence and criminal complaints filed during dictatorship provided the groundwork for pursuing justice years later when rule of law was restored. The Inter American Human Rights Commission confirmed that of more than 5000 habeas corpus writs filed between 1973 and 1987, the courts granted only 10 – of these, by the time the writs were conceded, the victims were already dead. In 1991 the Truth and Reconciliation Commission Report concluded that the courts could have saved lives and protected prisoners from mistreatment had they accepted the thousands of habeas corpus. The military regime that so gravely and systematically disregarded human rights took precautions to protect itself from prosecution through the amnesty decree, DL 2191, in 1978. When DL2191 came into effect in April 1978, Chilean jails and prison camps contained hundreds of political prisoners, most of whom had never been charged, much less sentenced. In January 1978, discovery of the remains of 15 people in an abandoned limestone mine in Lonquen had provided the first concrete evidence of the fate of disappeared persons, while pressure was mounting from the United States to extradite perpetrators of the assassination of Orlando Letelier committed in Washington DC September 1976. A “self-pardon” by the military rulers to benefit agents who carried out their repressive policies, DL2191 shields from criminal prosecution all persons who were authors, accessories or had concealed crimes committed from the day of the coup, up to 10 March 1978, when state of siege was lifted temporarily. When the transition to democracy ensued, DL2191 and other de facto laws – most notably the Constitution of 1980 – were not repealed as democratic parties had pledged, in part, due to lack of congressional majority. International human rights agencies such as the Inter American Human Rights Court have condemned the amnesty decree as an infringement of treaties of which Chile is signatory (See Luis Almonacid Case, 2006). During dictatorship courts applied the amnesty law without investigating cases. To accuse military personnel of a crime was sufficient cause for ordinary courts to declare themselves incompetent and transfer a human rights case to military tribunals, which automatically closed the cases. During the early post-dictatorship years, courts continued to follow this formula, systematically dismissing cases involving disappeared persons on the basis of the amnesty law. Yet, by late 1994, President Patricio Aylwin fostered a reinterpretation of DL2191 that led to a new willingness on the part of the courts to investigate the facts of a case and identify the responsible parties, rather than automatically invoking the amnesty decree. On 21 September 1994 the First Bench of the Santiago Court of Appeals unanimously ruled to reopen the investigation phase of the case involving Anselmo Radrigan, abducted on a public street in 1974 by DINA secret police. 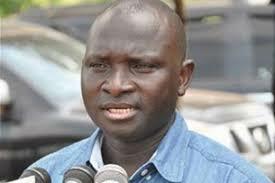 Revoking the application of the amnesty law, the court ruled that the crime of abduction is permanent until the victim is located either alive or dead. Other appellate courts followed suit a few days later with similar rulings that upheld the Geneva Convention over domestic law. On 12 September 1998 a Supreme Court ruling set an historic precedent when it ordered the reopening of a case involving the 1974 disappearance of Enrique Poblete Cordoba, echoing the argument of the ongoing crime put forth by the appeals courts four years earlier. Since then, judges have rarely invoked the amnesty decree, allowing judicial investigations to advance for the first time. However, unless DL is repealed, there is no assurance that a changed political climate may send the courts a different signal and reverse this trend. The Military Junta’s Decree Law 5 defined state of siege as synonymous with state of war. (State of siege, implying suspension of individual freedom, was in effect from the day of the coup until March 1978, replaced by state of emergency from 11 March 1981 until 27 August 1988.) Throughout the years of dictatorship and up to the present day, the former military rulers and their civilian collaborators employ this interpretation to justify their practice of terror as a necessary response to war. In declaring Chile at war, the Junta unwittingly invoked the Geneva Conventions that demand protection of prisoners of war and prohibit summary executions. Yet during 25 years Chilean courts denied the Geneva Conventions as grounds for justice in human rights. Not until the Poblete case, cited above, did the judiciary begin to accept preeminence of international treaties over Chilean law as well as the concept that human rights violations committed by the military dictatorship are crimes against humanity. Following Augusto Pinochet’s arrest in London on October 15, 1998, the crime of genocide became one of the most prevalent causes of action in the hundreds of criminal complaints filed against the former dictator and his collaborators. This represents one of the most significant jurisprudence developments in Chile, overcoming the amnesty decree and statutes of limitation claims, thus opening the way to advances in numerous cases. Significantly, on 5 January 2004 the Santiago Court of Appeals, citing the Geneva Conventions and Universal Declaration of Human Rights, issued the first convictions in the case of a disappeared person, 26-year-old tailor Miguel Angel Sandoval arrested on 7 January 1975. In his ruling Judge Solis traced the development of international jurisprudence related to torture from the Nuremberg Tribunal and the Geneva Conventions to the establishment of the principle of jus cogens in the case of torture. On 27 January 2010 the Santiago Court of Appeals issued the most recent ruling that recognizes the crime of torture. A unanimous ruling from the bench confirmed the conclusions Judge Alejandro Solis reached after six years of investigation: that four secret agents tortured Sergio Aguiló during 10 days in December 1981. Today Aguiló is a prominent national congressman. FASIC, since 1992 the principal legal representative of victims, reports that as of May 2009, 702 indictments had been issued against members of the Armed Forces, police, detectives and civilians. Defendants include 39 generals, 6 admirals, 71 colonels, 16 brigadier generals, 31 lieutenant colonels, and 313 lowering-ranking officers. Sentences have been handed down for 109 Army officers, 11 Naval officers, 20 Air Force, 98 police, 9 detectives and 13 civilians. 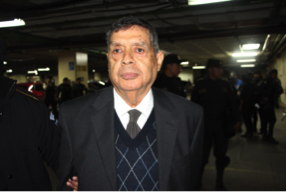 General Manuel Contreras, director of the former DINA secret police, has been sentenced in several cases for multiple counts of crimes, summing 300 years in prison. Of these prison sentences, 90 years have been definitively confirmed, while the remaining are pending various appeals. In a report issued on 1 February 2010, Supreme Court Judge Sergio Muñoz noted that 326 cases are in progress. Of these, 239 are in the investigatory stage, 14 have had first instance rulings, while another 47 await decisions from the Court of Appeals or the Supreme Court. Muñoz has also instructed detectives of the Brigade on Human Rights Violation Crimes to investigate the situation of 1,167 victims of dictatorship with the aim of obtaining elements of proof to enable filing new criminal complaints. These are cases the Truth and Reconciliation Commission omitted in 1991 for lack of sufficient evidence. Although the courts have made significant progress in the investigation of cases, a growing trend of disproportionately low sentences has been observed in recent years. An example is the case of Ecuadorian doctor Jose Felix Garcia Franco. Four retired police officers had been sentenced to 10 or 8 years in prison for the 13 September 1973 arrest of Garcia, whose whereabouts have been lost since that time. On 1 January 2009 the Santiago Court of Appeals lowered the four convictions to 5 years, the threshold period for accessing parole and avoiding incarceration. The court invoked the peculiar Chilean legal concept of the half prescription (media prescripción or prescripción gradual, under article 103 of the Penal Code) by which a sentence may be reduced when more than half the statute of limitation has elapsed. Such rulings, which critics ironically call “sentences without punishment” (“condena sin castigo”), increasingly prevalent since 2007, effectively contradict the doctrine that predominated since Poblete Cordova, that human rights crimes are not subject to statutes of limitation or consideration of any extenuating circumstances. In this case, the court cited as extenuating factor “unblemished past conduct” (intachable conducta anterior), an equally peculiar concept, in light of the nature of human rights violations. During the same period of time, civil suits have gained force, and in the Garcia Franco case, the court did uphold the payment of 30 million pesos ordered for moral damages. An ambivalent approach to human rights characterized the four presidents that of the democratic alliance that governed Chile in the two decades of post dictatorship. While the Truth and Reconciliation Commission recorded more than 3000 human rights crimes that resulted in extra judicial killings or disappearances, the testimony used to document these cases is off limits to the courts. Likewise, 35,000 people testified to the Commission on Political Imprisonment in 2004 that they endured torture, yet their testimonies too are strictly reserved and inaccessible to all for 50 years. On 11 January 2010, President Michelle Bachelet inaugurated the Museum of Memory yet only 50% of victims have had legal actions filed on their behalf. And the announcement that FASIC’s legal department has closed for lack of funding may well frustrate aspirations for justice, especially in light of the expected reopening, in mid 2010, of both the Truth and Reconciliation Commission and the Commission on Political Imprisonment to receive new testimony. Despite a policy that privileged truth over justice, significant strides have been achieved in justice. Detectives’ meticulous investigation of the military regime’s repressive practices convinced judges such as Juan Guzman Tapia, who Pinochet appointed to the Appeals Court as a conservative judge, of an irrefutable brutality, leading him to indict the man who had promoted him in judiciary ranks. The coming inauguration (10 March 2010) of millionaire businessman Sebastian Piñera as president of Chile will usher in a period of uncertainty on the human rights front, and on social issues in general. While on the campaign trail, Piñera, candidate of a right-wing coalition that includes collaborators of the military regime, promised victims’ relatives not to interfere in cases, and then secretly pledged to 700 retired military officers to expedite cases by applying statutes of limitation. Even as their rulings take distance from the military dictatorship, the legacy of judicial complicity with that regime continues to cast a long shadow over judges. The political horizon promises to test, once again, the independence of the Chilean judiciary.